Welcome to our Top SEO Case Study by Krasovetz Consulting, LLC. We offer SEO, & Web Design Development solutions that create immediate and long lasting results in the SERPS (Search engine result Pages) for our clients. Our website designers and SEO specialists can build you an amazing website that is search engine friendly using HTML 6 and web 3.o technologies to ensure you remain relevant. 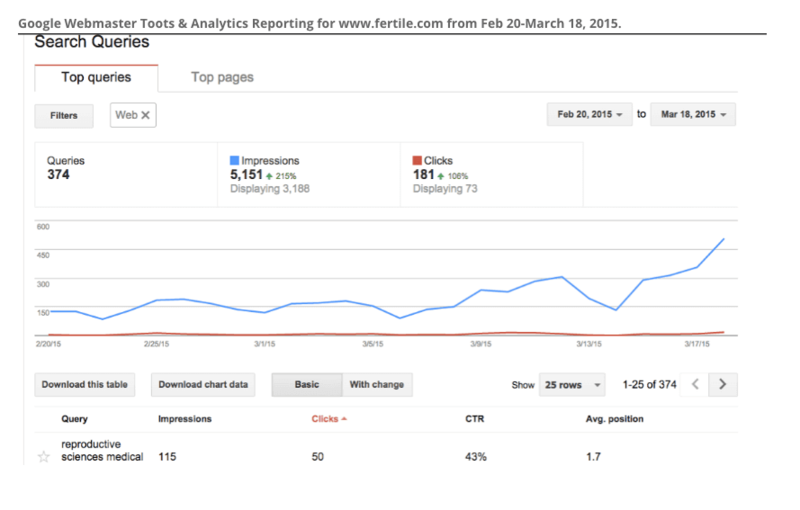 Google Webmaster Toots & Analytics Reporting for www.fertile.com from Feb 20-March 18, 2015. Fertility Center San Diego CA (Competitors 398K | dir/portal 3) Ranked first page. Fertility Centers in San Diego (Competitors 137K | dir/portal 2) Ranked first page. leading fertility center in San Diego (Competitors 538K | dir/portal 2) Ranked first page. Top IVF Doctor San Diego (Competitors 844K | dir/portal 2) Ranked first page. San Diego Top IVF (Competitors 464K | dir/portal 2) Ranked first page. 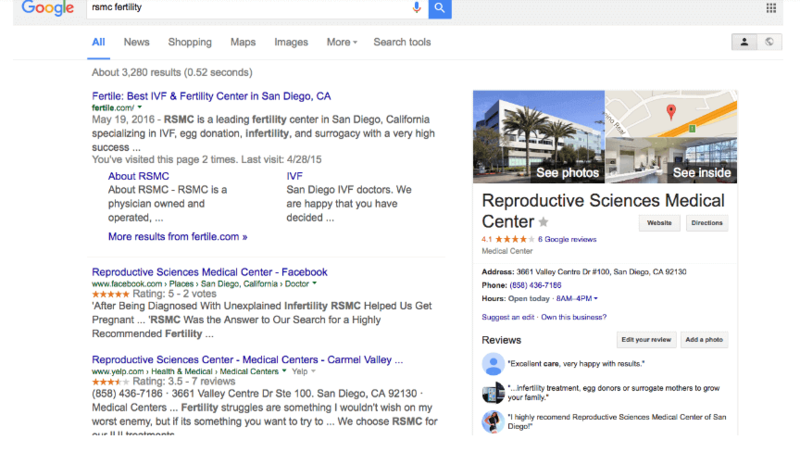 If your looking to have your company obtain these type of results, like this RSMC Fertility SEO & Agency Consulting Services Case Study, please feel free to contact us at 1.800.318.1595.